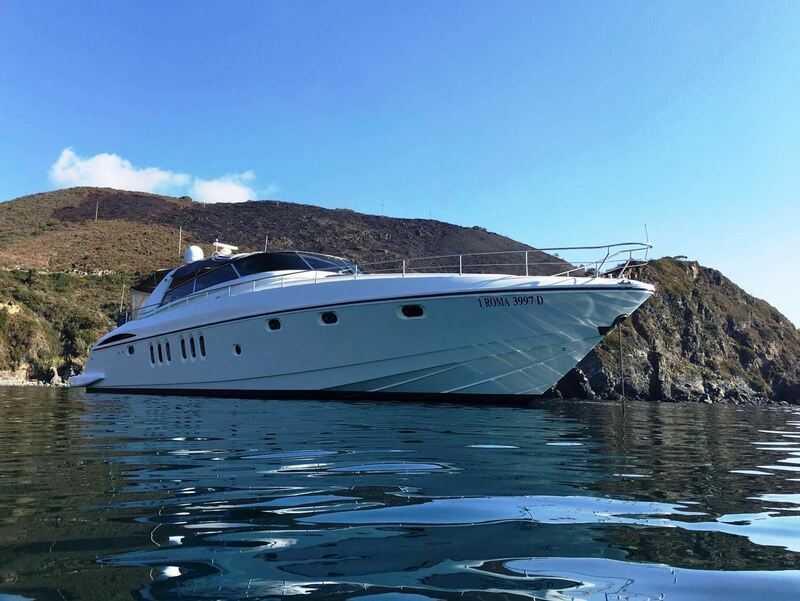 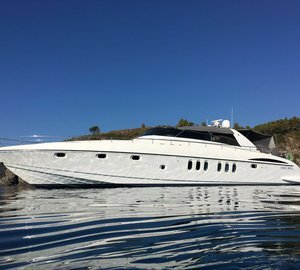 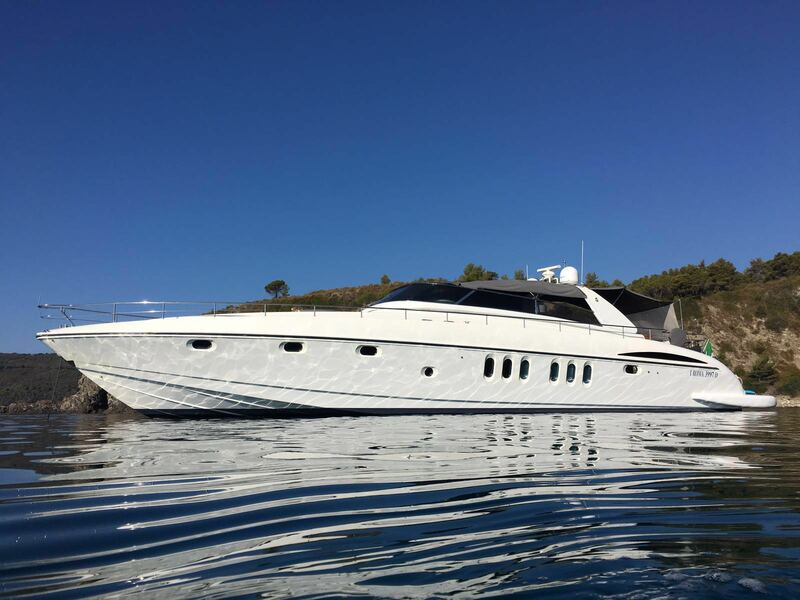 Luxury performance motor yacht SANTA LUCIA FAST was delivered in 2003 by Alalunga Spertini and refitted in 2016. 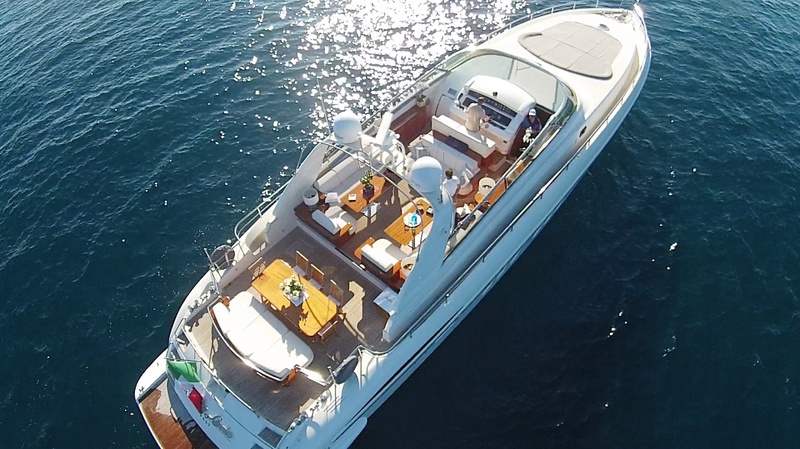 The yacht is 26,5m (86,11ft) and offers accommodation for 6 charter guests, in 3 cabins. 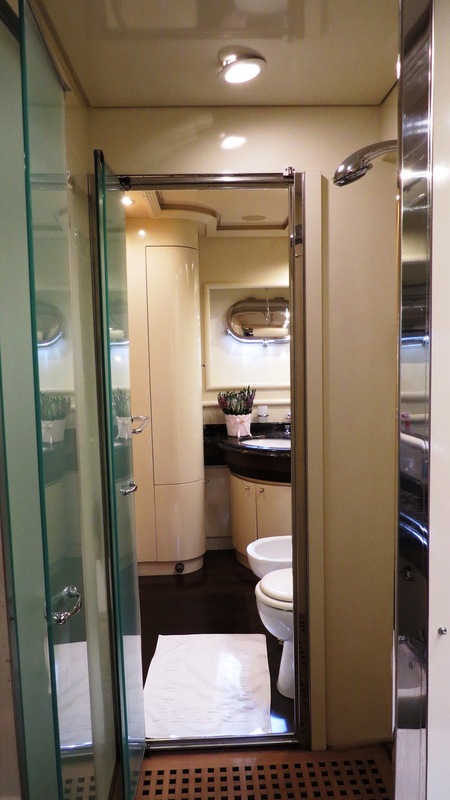 Her interior decors are elegant and relaxing. 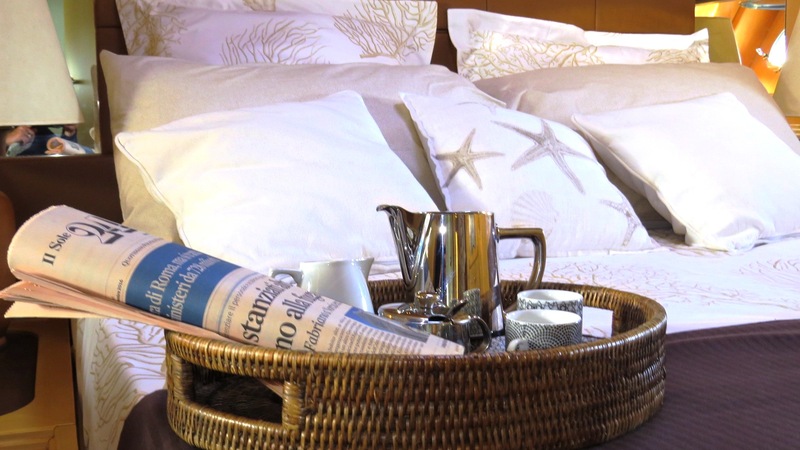 Neutral tones, chic leathers, stylish soft furnishings and fine woods, create a welcome and sophisticated ambiance. 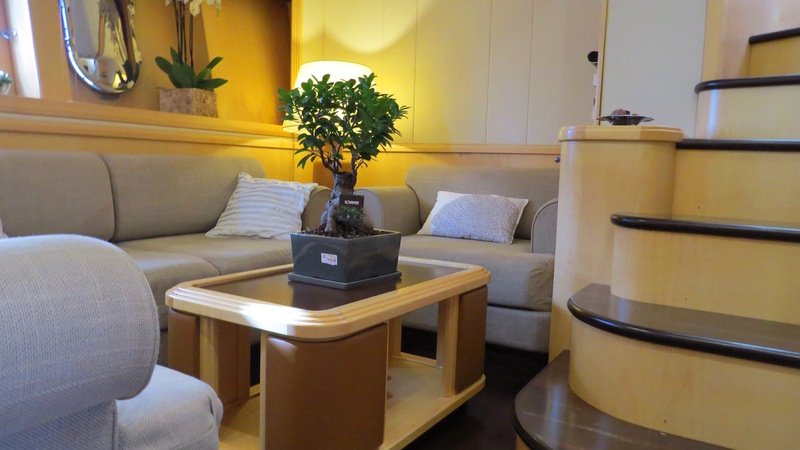 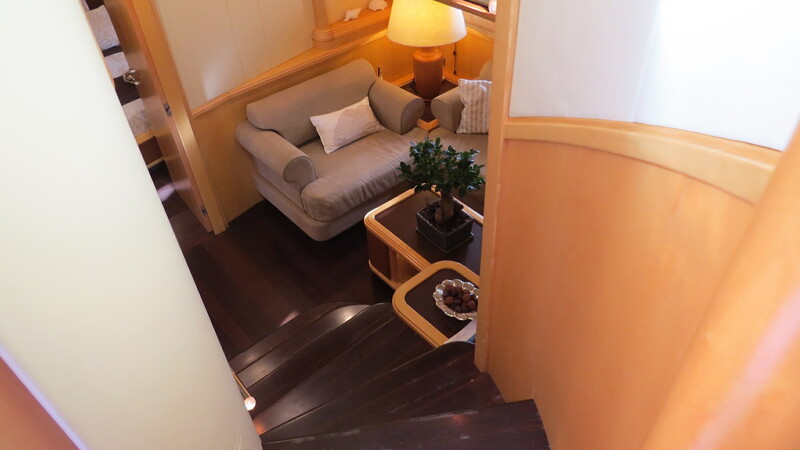 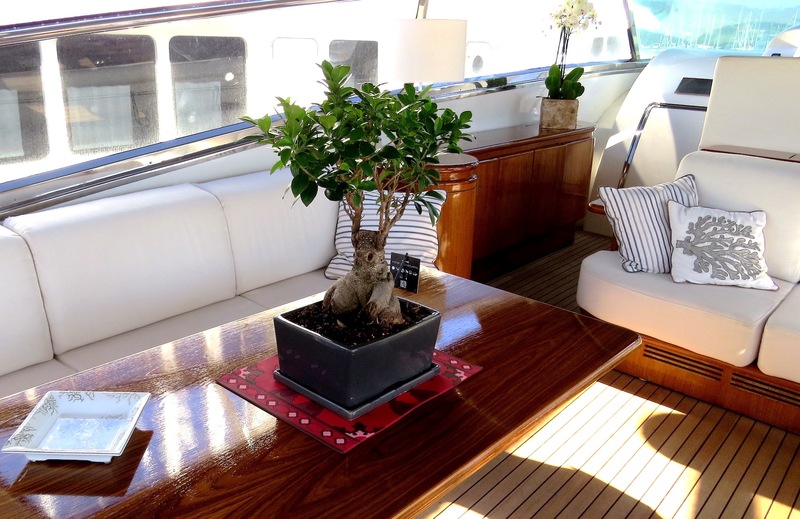 On the lower deck is a cosy salon with plush seating and coffee table. 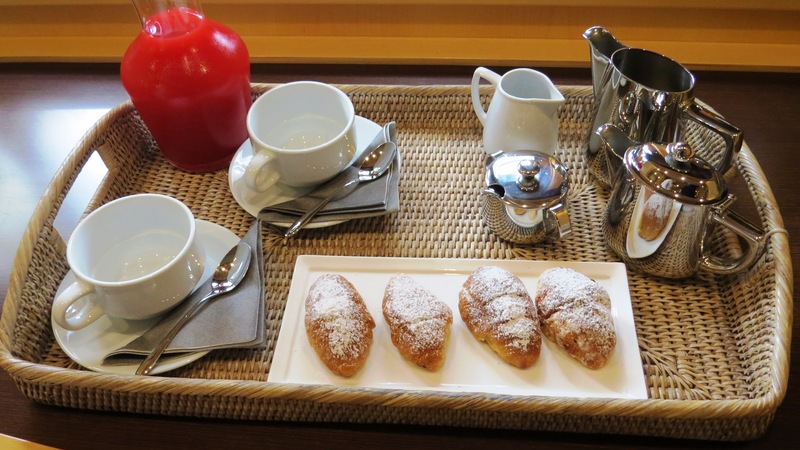 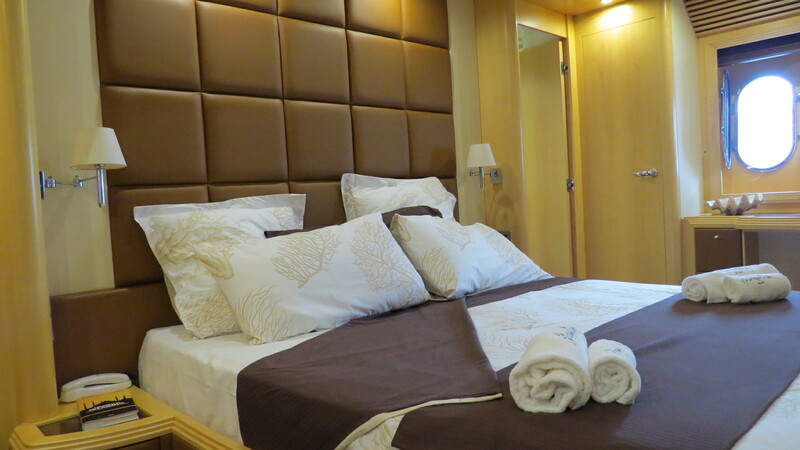 There are 3 guest cabins, 1 full beam master stateroom, 1 full beam VIP cabin and a twin cabin. 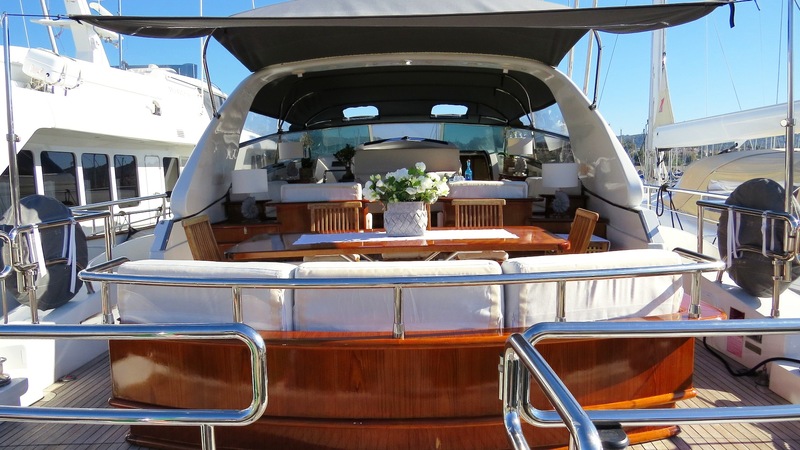 Exterior living features a large on deck salon with seating, opposing tables and an optional Bimini cover. 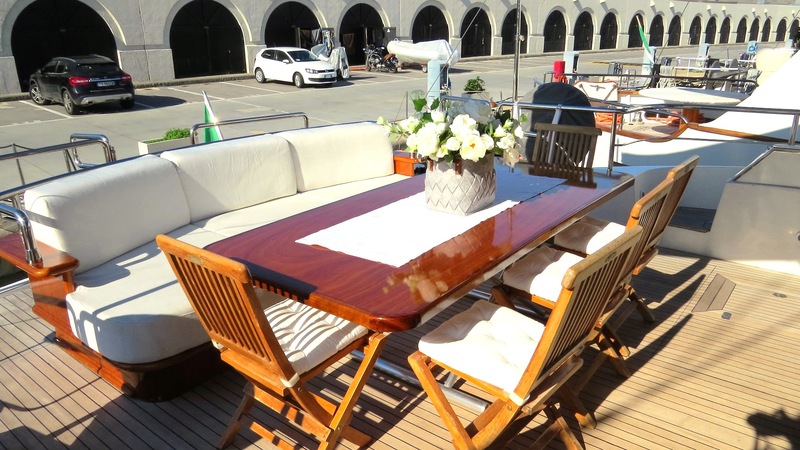 Further aft is an alfresco dining table and generous seating, which easily can also be the perfect sunpad. 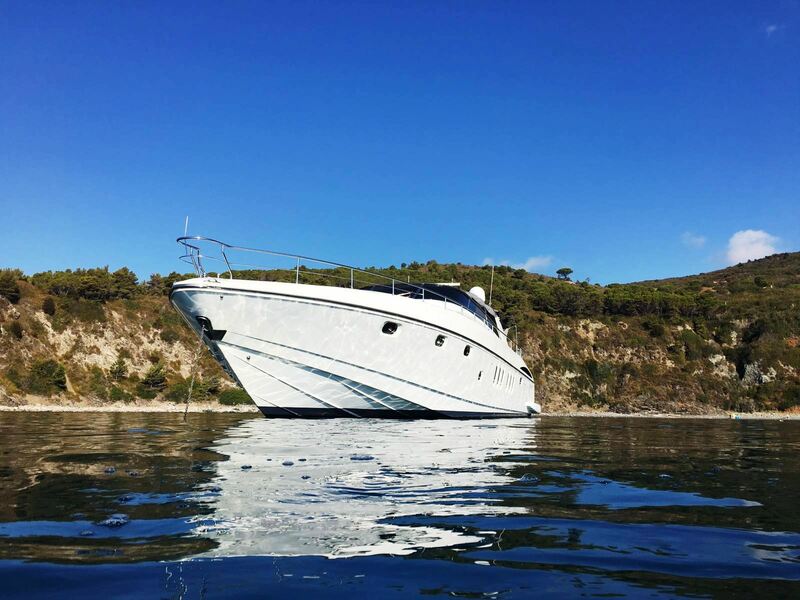 Her extended swim platform ensures easy water access off the stern. 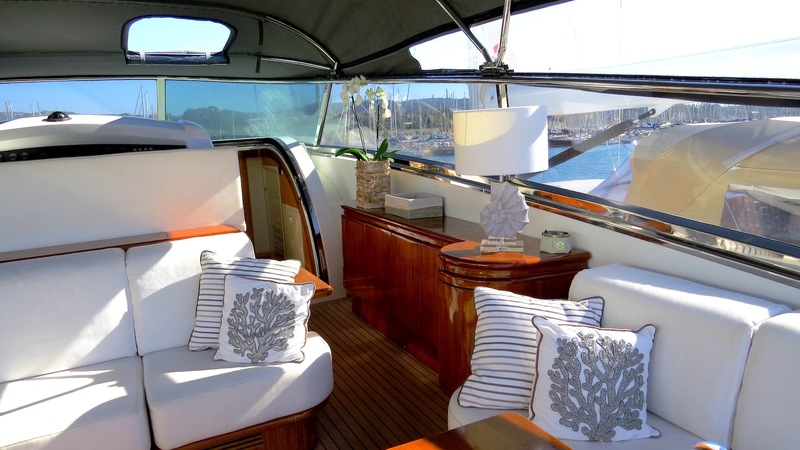 On the foredeck is triple sunpad for the sunlovers in the group. 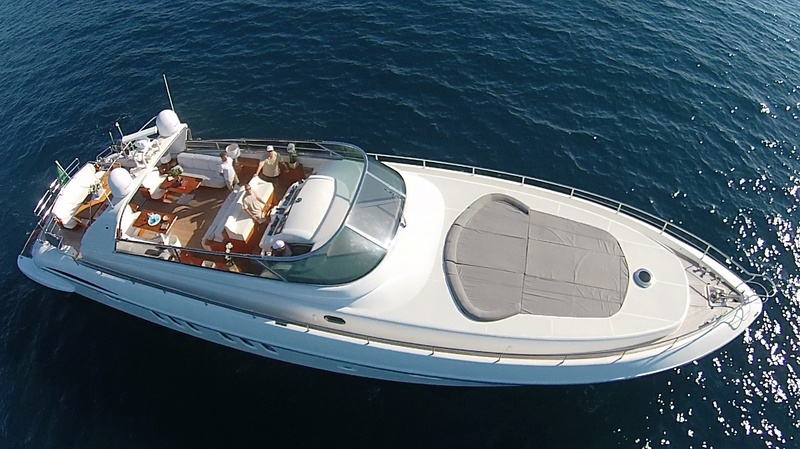 The yacht is powered by 2 x 1500hp MTU engines, she cruises at 25 knots and can reach impressive top speeds of 35 knots. 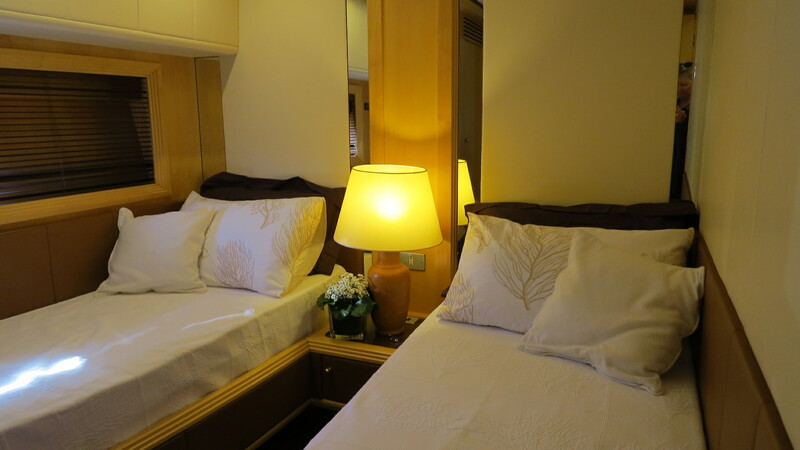 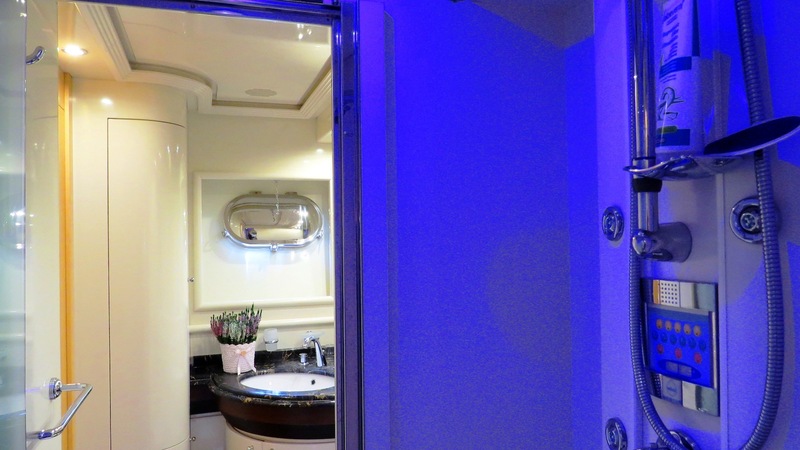 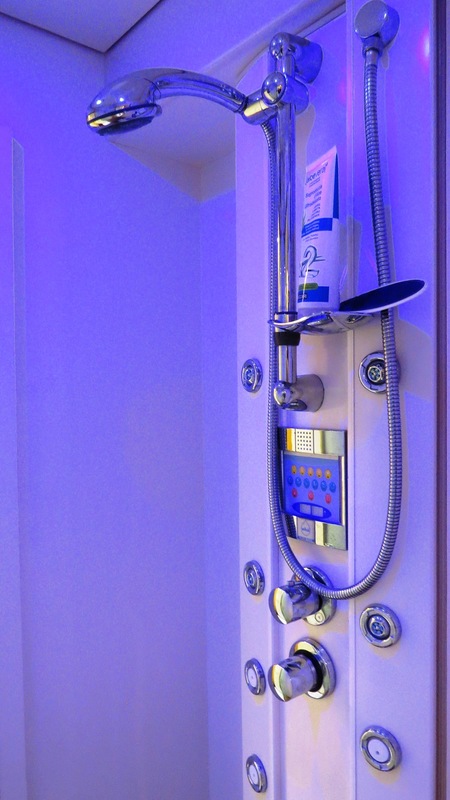 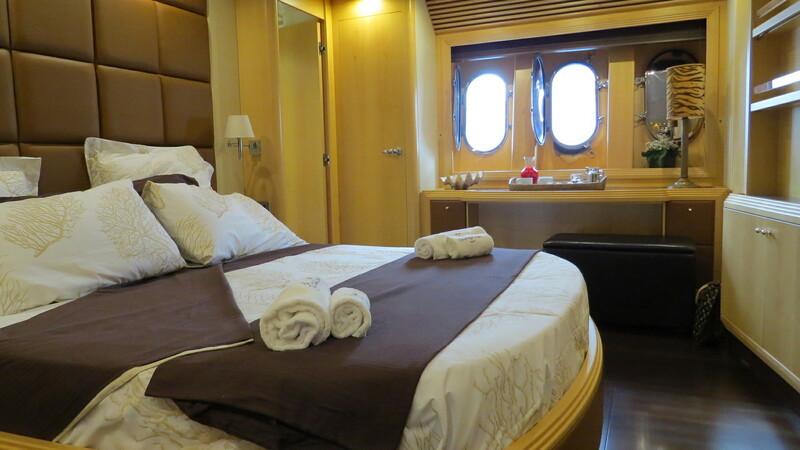 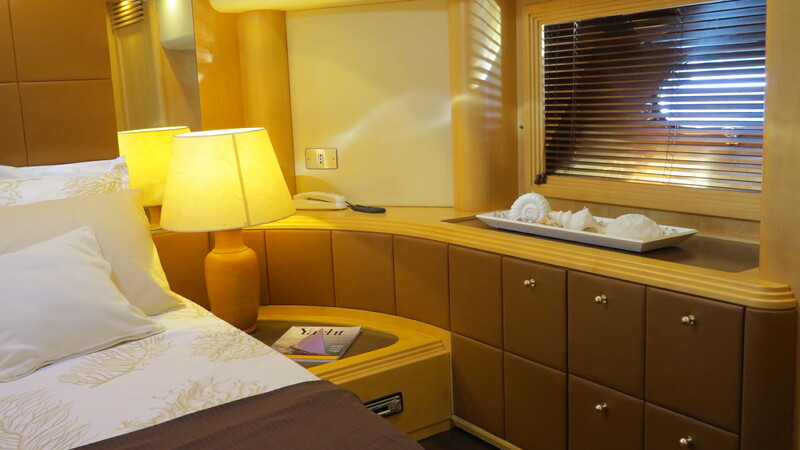 Master stateroom, a VIP suite and a double guest suite.